When people think about the health care industry, their thoughts often veer to the roles of doctors and nurses and stop there. What they do not realize, however, is that health care is an industry, and as such, it has just as much need for administrative staff as any other large employer. Even with employment rates as they are, health care administration is a field that continues to grow. Learning more about this opportunity can help you decide if this is the path that you want to take. Think about any hospital that you have ever been in, and think about how busy it is. While many of the people you see are actively engaged in medical tasks, there are also plenty of people who are filing paperwork and working in offices. Medical coders and billing professionals are some of the most common administrative staff in an average hospital, but they are far from alone. A hospital administrator is essentially an individual who oversees the functionality of the hospital itself. Depending on the hospital, an administrator may work on his or her own, or be part of a larger team that is answerable to a manager. A hospital manager must be a detail-oriented person who has a clear idea of what the hospital needs to keep running. Health care administration is a field that draws the best and the brightest, and everyone who is involved will tell you that this field draws people who are motivated by daily challenges. For people who are looking to expand their education towards graduate studies, this field is one area that they should consider. 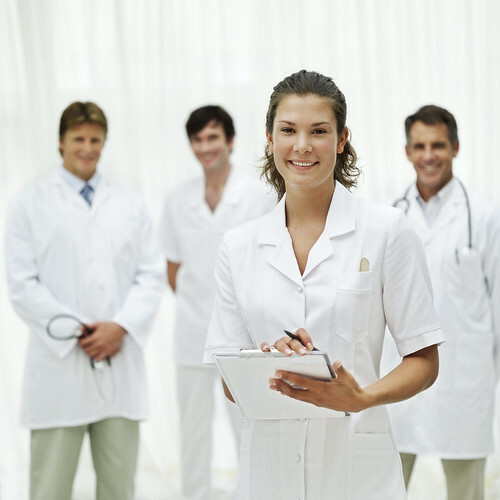 Hospital administration offers you a reliable field of employment after your graduate studies. It is also important to note that hospitals are very interested in people who have worked in hospitals previously. Not to mention, with all the expected changes happening with Obamacare, knowledge of health insurance marketplaces is a plus too. One way to get this experience while still in school is to volunteer. Volunteer work at a free clinic or at a city hospital allows you to learn more about the field before you commit, and it is also an investment in the future career that you are dreaming of. There are many reasons why this field has become as popular as it has. The medical industry in the United States is booming, with care becoming more comprehensive and more prevalent. This means that there needs to be a great deal of administrative infrastructure to keep up with the demand. There is also the fact that working in the healthcare field allows you to feel that you are helping and making a difference. There are many people who are drawn to healthcare but find that they lack the interest in medicine. If you are looking for a career where you help others and where you facilitate healing, this may be the position for you. Many people are currently being drawn to the field of hospital administration, and the growing need ensures that there will be work. Consider whether this is the right career choice for you!